It’s hard to imagine a time when chocolate was a luxury. In modern times, chocolate is so readily available that we take it for granted and don’t really savor it or appreciate it the way our ancestors did. It’s not made to be savored, really. It’s mass produced and filled with so many unpronounceable ingredients that we’ve forgotten what quality chocolate really tastes like. Jcoco is not that sort of candy. It’s not average or run of the mill. Instead, it’s the sort of treat that reminds you that, sometimes, a really special chocolate is worth waiting for! Let’s start with the packaging, which I absolutely love! 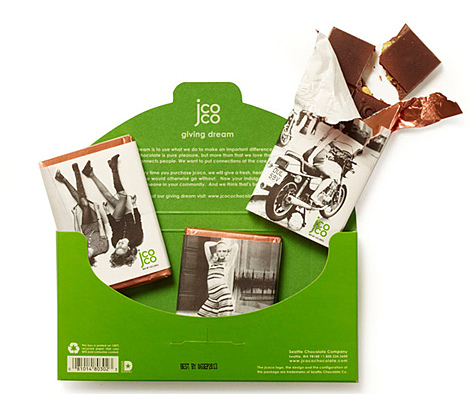 It’s not the most important part of the puzzle, but I’m a sucker for a cute wrapper and jcoco certainly knows a thing or two about making their product visually exciting. The exterior box, which resembles a clutch or a wallet, is made out of a really lovely paper that is quite soft to the touch. I pretty much forced everyone I know to run their fingers up and down the cover! It was sooo smooth and silky! 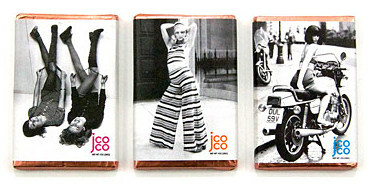 Once the box is opened, you will find three separate bars each one featuring a different fashion photograph. So cute! The candy itself is delicious! I am, honestly, very reluctant about doing reviews because I worry that I won’t like the product, but I truly, truly loved these bars! I didn’t want to share them with anyone! Here’s the breakdown on the three flavored bars. Edamame Sea Salt: This one was perhaps my favorite. 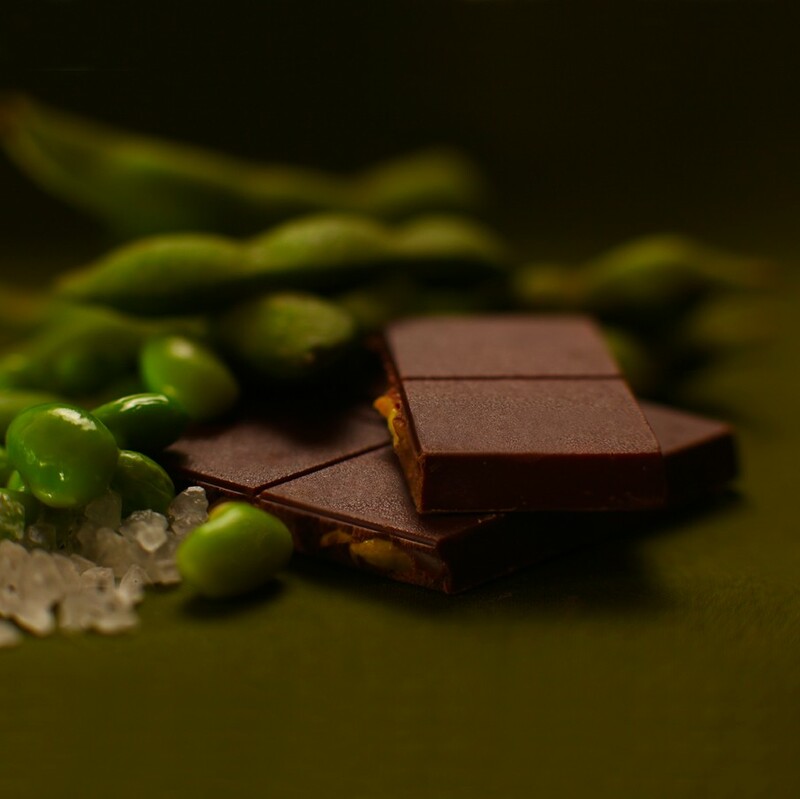 The toasted edaname beans provide a nice crunch and you can never go wrong with a salt/chocolate combo. This bar is made with milk chocolate, and I’m normally a dark chocolate type of gal, but I didn’t miss it at all in this case. Often I associate milk chocolate with cheap candy, but when it’s done right, as it is with this bar, it can be quite good! Black Fig Pistachio: This one was a big hit, too. Several people named it as their favorite. This is a dark chocolate bar, so bonus points there. Also, pistachios and figs are two of my all-time favorite foods, making it pretty hard for me to resist. Veracruz Orange: I didn’t think I would like this one. Normally, I’m not a fan of chocolate and orange, but, I have to say, I loved it!! The combination of orange and white chocolate is really nice. I much prefer it over dark chocolate and citrus. The bar is creamy and sweet and downright delightful.